If the idea of a BMW-powered Toyota Supra doesn’t do it for you, what about an early one driven by a borrowed Lexus V8? This black beauty is quite a rare beast, in several important ways. 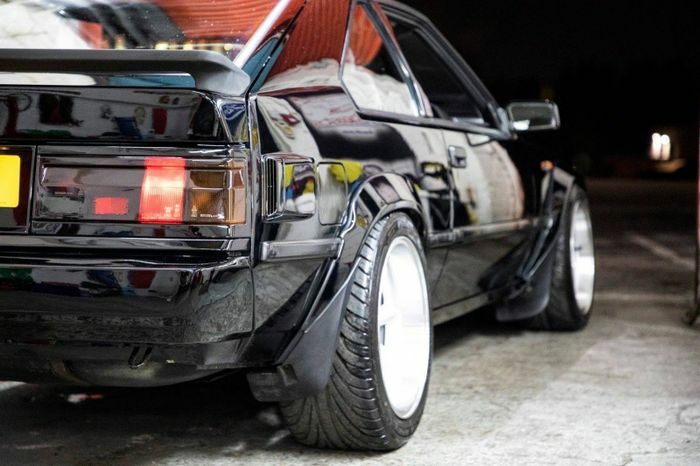 First of all, how many mid-1980s Toyota Celica Supras do you still see on the roads? How many Lexus LS400s? 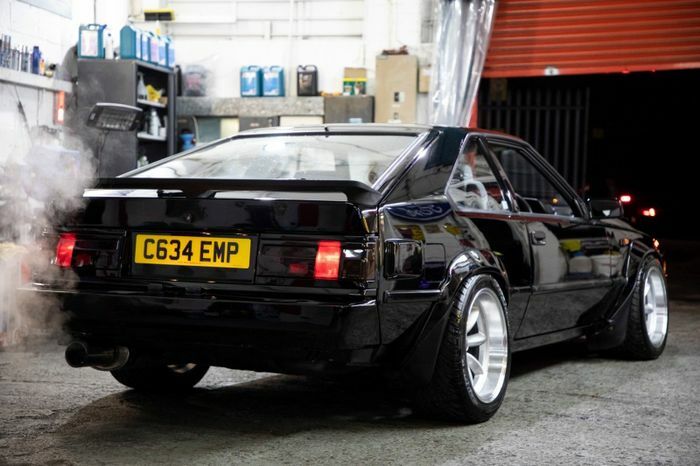 And how many Celica Supras with the V8 from the LS400? We stumbled across this stunningly modified 1985 car courtesy of a tweet from Project Cars. 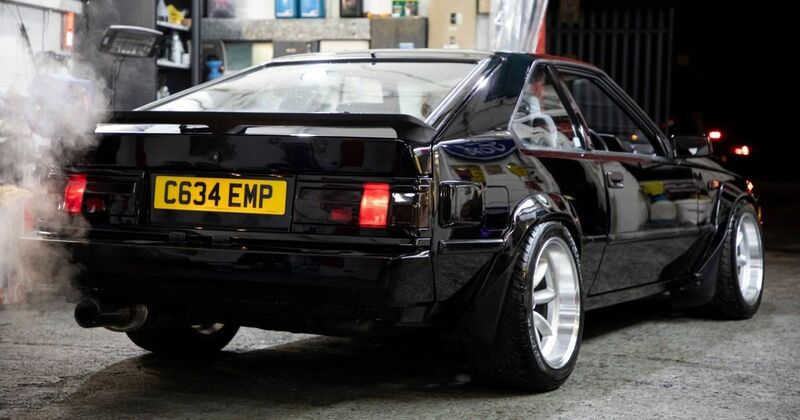 For sale for a couple of weeks, now, it’s a gleaming black example of how they don’t make ‘em like they used to. Back in the early 1980s Toyota still used the full ‘Celica Supra’ name for its largest sports car. The second generation of the car lasted from five years starting in 1981 and to many people it was the best-looking Supra ever built. Essentially a heavily revised version of the original, which had been launched in 1978, it still felt massively more modern. Japan kept two 2.0-litre straight-six engines – one of them turbocharged – to itself and let the rest of the world share its more conventional (back then) normally-aspirated 2.8, also a straight-six for a neat fit beneath the car’s long bonnet. Power output varied by market from as little as 123bhp for the non-turbo 2.0-litre to 176bhp in the Euro-spec blown 2.8. None of those reside within this example, though. 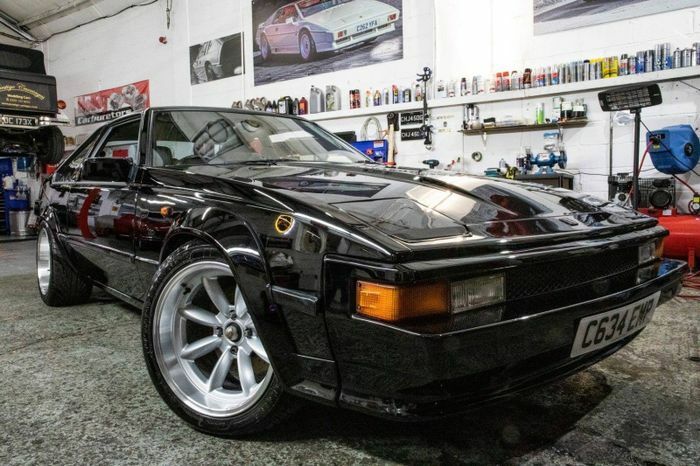 As well as its perfect lowering treatment on coilovers and gorgeous Rota wheels in staggered sizes, this visually perfected Celica Supra features the 4.0-litre 1UZ V8 from the first- and second-generation Lexus LS 400. Known for its genteel demeanour in the Lexus, YouTube proves what a brute it turns into when you add a fruity exhaust. Interestingly, the engine has been left standard. It’s linked to the R154 manual gearbox from a 1990 Supra, say the sellers Landbeasts, in Essex, and has a mappable Link G3 competition-spec ECU, but the tuning potential within the big ol’ 1UZ hasn’t yet been tapped. Still, with 250-260bhp depending on the exact origin of the engine, it should be a good match for the lightweight Supra. The 275-section rear tyres do leave some grip in hand should you want to boost things a bit. This looks like an absolute peach of a conversion. Castlemaine Rod Shop Australia did the gearbox swap, suggesting the car has been out in Oz at some point in its life, but we’re not even put off by the relative lack of history with it. It’s priced at £13,995, and we need it. Now.